Radio Health and Safety Warning – Old radios carry high-voltage current that can cause injury or death. 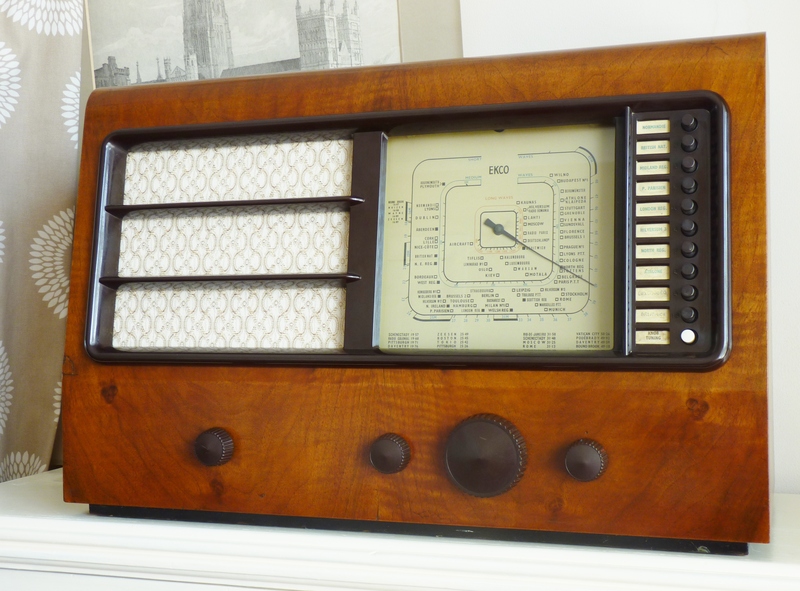 Unless you know what you’re doing, don’t plug in, switch on or poke about with a vintage radio, especially if it’s been languishing in a shed or attic for decades. The design and potential state of the wiring puts you at risk of a serious electric shock. Sorry to start with a downer but we do want you to stay safe. Whilst a restored radio may cost more than a non-working model, factor in the sourcing and replacing of parts and the time and expertise that’s gone into its restoration. All Wayne’s Radios are safety-tested and sound-checked before they leave the workshop. If you go with a prop, it may look pretty good, but trust me, you’re only getting half the enjoyment. You want it to be safe and sound good. Only buy a non-working radio if you only want to look at it. How Much Will it Be Worth? To a serious collector, the value of a vintage radio could be high, depending on the scarcity, age, design, and overall condition. Some sets are sought after because they were the first of their kind, the last ones remaining, manufactured in small numbers or can be identified as designed by specific designers. To the rest of us? 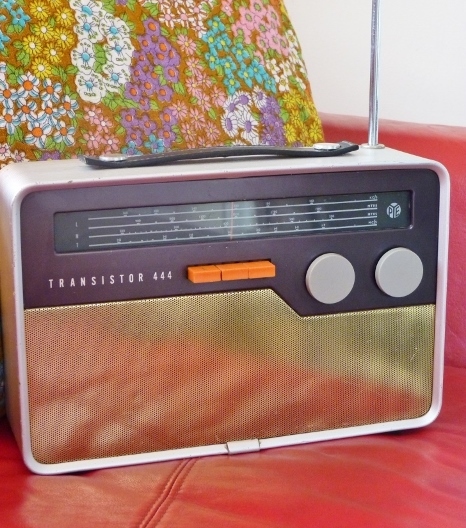 Although not measured in pounds, the value of a vintage radio can be so much more. Beauty is definitely in the eye of the beholder and if you like the look of it, it sounds good, it’s within budget and it fits in with your style, it’s the radio for you and, to you, will be worth a bomb. People become very emotionally attached to their radios. Seriously, which One Should I Choose? Early radio cabinets were made of wood and relied on the skill and craftsmanship of the cabinet maker to produce a good looking radio. If you’re after a classic or traditional look from the thirties to the fifties, there’s plenty to choose from. Table top or floor-standing. If you’ve got the room, go the whole hog and get a radiogram. 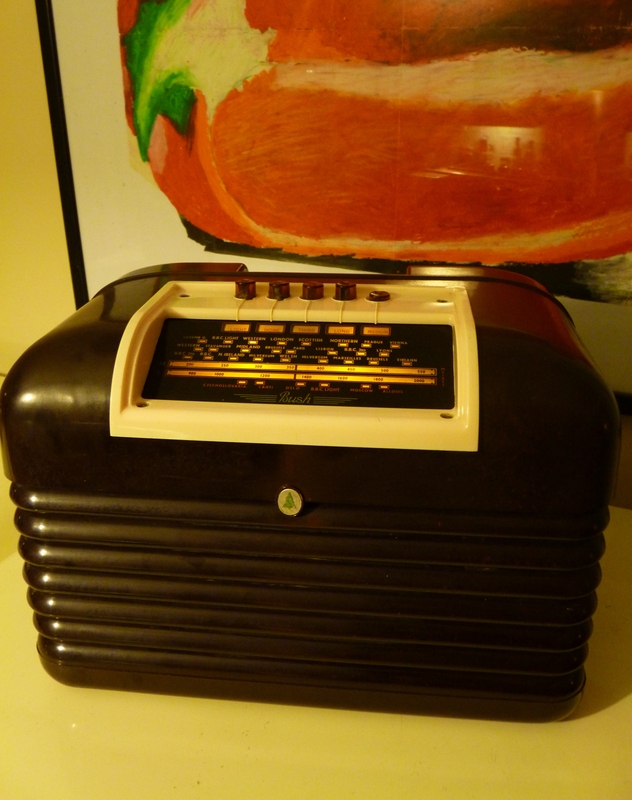 To some people, a vintage radio can only mean bakelite. 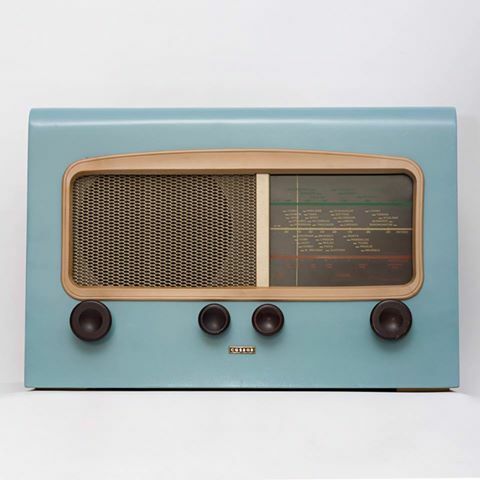 The development of polyoxybenzylmethylenglycolanhydride, to give it its technical name, made more sophisticated moulded cabinet designs possible and brought some colour to the world of radio. Bakelite is strong, of its time and has properties well suited to the job of housing hot valves and wiring. The downside is it’s brittle and less likely to survive a knock. Oh and bakelite tends to come in any colour, as long as it’s brown or cream. But What if I Need Some Colour in my life? The brightly-coloured radios in this country tend to be painted. Go for one of our radio rescues. Colourful Catalin or plastic radios exist but suggest an import. Or If I Want Something A Bit Different? Radio cabinet designs are distinctly different from country to country. It’s usually easy to spot if a radio isn’t British, particularly if it’s an American or European model. American radios resemble American cars. Think industrial, chrome and grilles. 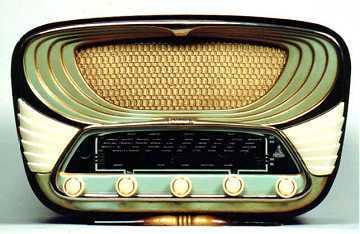 Whilst French radios were heavily influenced by art nouveau with colourful curvy lines. A Wayne’s Radio Art-attacked radio could be just the thing you’re looking for. 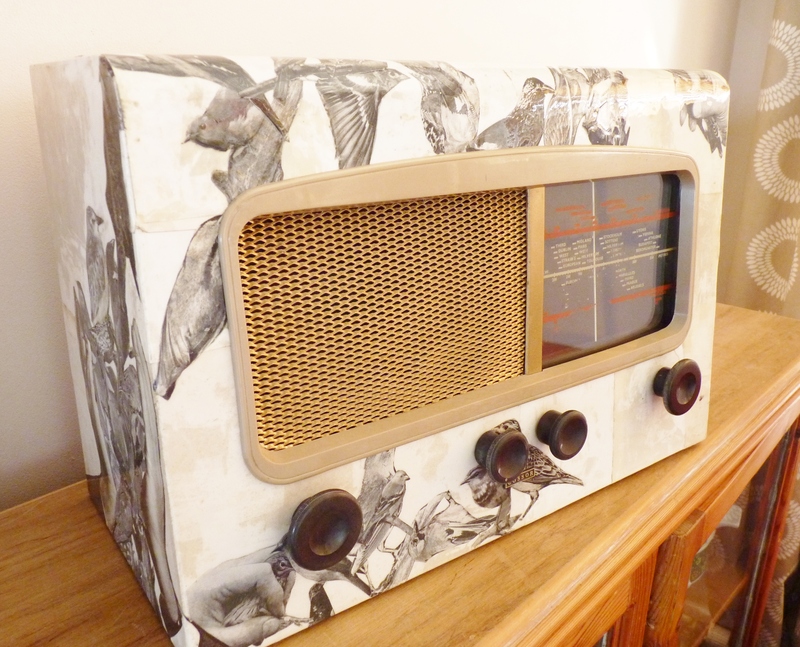 Finished with ephemera and vintage images sourced from damaged and distressed books to give you a one-of-a-kind radio and piece of art. How much would a vintage radio cost? All depends on your personal specification and budget. A high-end brand or model will always cost more. As a rule of thumb, if it cost a lot when new it will sell at a premium today as the electronics and cabinet production were the best available at that time and you will be getting the best-looking and best-sounding machine for that era. Prices for a restored working or modified radio range are based largely on size and era. The older it is, and the bigger it is, the more it’s likely to cost you. Prices range from as little as £80 to over £300. 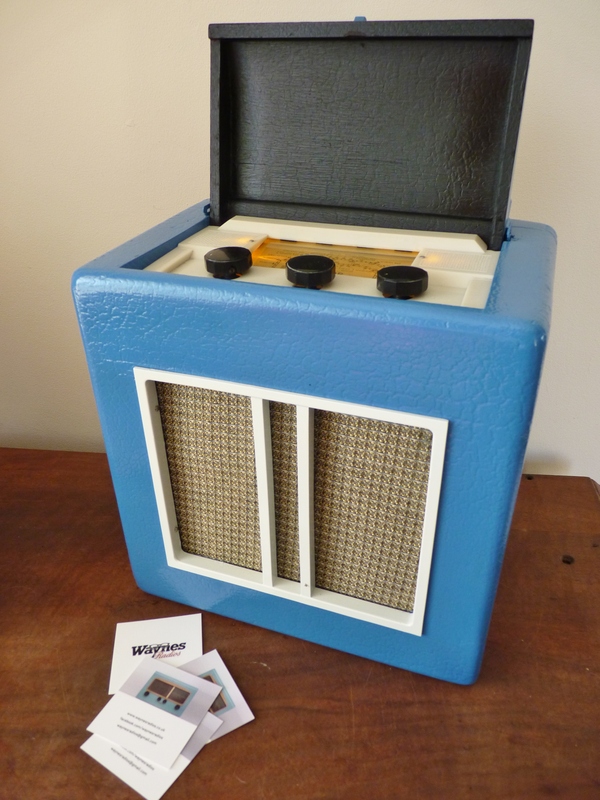 If a good looker is most important to you, you can go for a complete restoration with restored cabinet or, if you prefer you can choose one of our upcycled or paint finished radios. Don’t worry, back in the day, radios were produced in their thousands so there are still plenty out their for the purists to get hold of and, if you’re choosing one of of our funked-up radios, you can rest assured it was so tatty, badly damaged or dangerous when we originally found it, it was destined for landfill. We love radios. Any radios of real historical interest are left well alone. Just take a look at our signature radio before its transformation and you can see exactly what we mean. We rescue radios. We often buy radios to meet a specific customer’s wants or needs. 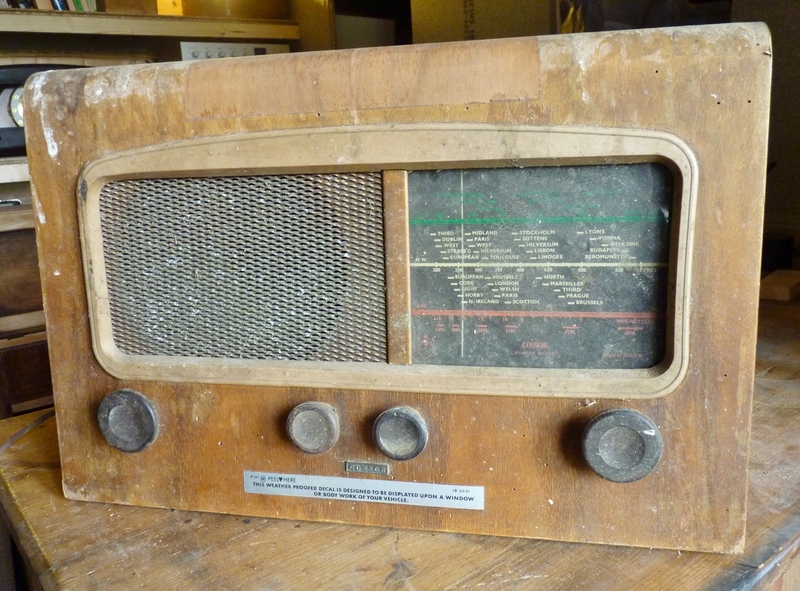 Having a request for a radio of a particular size or era, we seek out something suitable. On the hunt for a Ferguson Finesse, we spotted this collection. Magic eye – tick, both knobs – tick, piano keys – tick, case looks good – tick, but it’s miles away and do we really want all the others? Of course, you’ve guessed it. Before too long we’re in the middle of a bidding war and if someone else wants them, then of course we do too. Think two children fighting over the teddy in the toy box. Having trecked half way across England to pick up the radios, our excitement quickly morphed into disappointment. The little speaker was full of woodworm and had to go straight in the bin. One of the bakelite cabinets was cracked beyond repair .. (there was no mention of that in the description). The lovely Ferguson Finesse … oh yes it did have all the bits usually absent after sitting around in someone’s garage for the last thirty or forty years, but sadly the extra bit of trim that fits under the knobs and piano keys – missing. 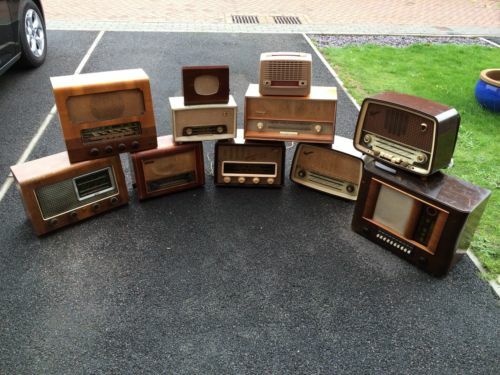 If you restore vintage valve radios, you never say die. Buying a collection is always, in the end, somehow so much more satisfying. It means you get the good, the bad and the ugly and some of our more successful radio rescues have been ones that should have been consigned to the skip. Well, I like this one. We’ll let you know how we get on with the other radios and if anyone out there has the missing bit for the Ferguson Finesse, you may even be able to sell us your entire collection. Where in the World is Skamleback or Schenect’y? It’s a combination of little things which make rescuing valve radios a thrill. Our latest restoration project, a 1938 floor-standing Pilot Radio has made our day by revealing the most amazing tuning dial. 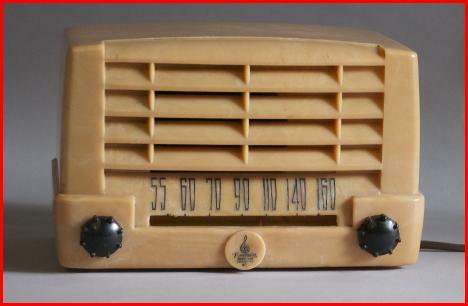 Often the dials on vintage valve radios are painted on glass and are either broken, faded or wiped clean. They rarely stand up to the test of time. Imagine our delight when this sadly neglected seventy something year old was dismantled and cleaned and we could gradually see the muted colours and decorative design on this dial. A work of art in its own right. Look closely, you might even find your city. Let me know if you do.